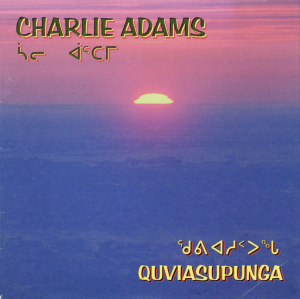 One of the all-time hit songs from Nunavik is back in as the title track of this CD from Charlie Adams. 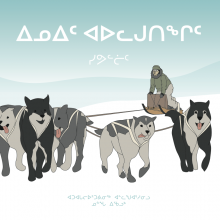 “Quviasupunga”, which means “I’m happy” in Inuktitut is presented in two versions on the new disk. Charlie’s voice is in fine form throughout the 13 tracks. Some of his classics have been rerecorded here. There is hit potential written all over songs such as “Aulaajingnatit” (Don’t You Remember), “Anararumalinpunga” (I’m Homesick), and especially “Upingaami” (Springtime) with its beautiful, soaring chorus. The style is folk rock, sung in Inuktitut, with some nice touches of acoustic guitar, a bit of country on “Unikapunga” (I’m Telling a Story), and some harder rock sounds.